Music Monday - The Look Of Love is in Elvis Costello's Eyes! Maybe the saying "the third time's a charm" is ringing true for Diana Krall! Krall was born into a musical family in Nanaimo, British Columbia, Canada on November 16, 1964. She began learning the piano at the tender young age of four. She maintained this interest and in high school she played in a small jazz group. When she was 15, she started playing regularly in several Nanaimo restaurants and would eventually win a scholarship from the Vancouver International Jazz Festival to study at Berklee College of Music in Boston. Her career took off in 1993, when she released her first album, Stepping Out, which she recorded with John Clayton and Jeff Hamilton. Tommy LiPuma saw promise in Krall and produced her second album, Only Trust Your Heart (1995). Her third, All for You: A Dedication to the Nat King Cole Trio (1996), was nominated for a Grammy and continued for 70 weeks in the Billboard jazz charts. Love Scenes (1997) quickly became a hit record with the trio of Krall, Russell Malone (guitar) and Christian McBride (bass). Her sultry voice and talent on the piano have helped her find a place in musical libraries around the globe. I've selected "The Look of Love" by Diana Krall as my Music Monday.... (a tad bit late).....pick. Diana Krall and British musician Elvis Costello were married on December 6, 2003 at Elton John's estate outside London. They have twin sons Dexter Henry Lorcan and Frank Harlan James, who were born December 6, 2006 in New York City. This is the third marriage for Elvis Costello. In 1974, MacManus (Costello) married Mary Burgoyne. The couple had a son, Matthew, and divorced in 1984. 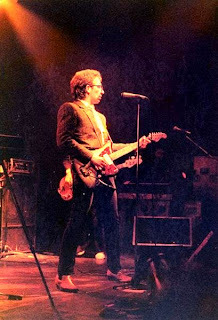 In 1986, Costello married Cait O'Riordan, then bassist for the band The Pogues. The couple split at the end of 2002. Let's hope for the best this time around! Japan is an interesting place. And for a Westerner, things can appear a little odd! I'm convinced that things really do get lost in translation. But I consider myself a pretty smart guy so I like to think I can figure most things out. Sometimes, I just need a little help. As I travel around here, I'm so thankful to run into people who speak English. That way I feel like there's not much guessing going on. When they say something to me I want to be sure to understand the meaning. I'm so inadequate. 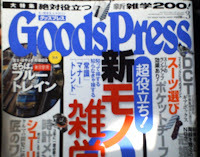 I can only speak a few words of Japanese - Hello, thank you, good bye, and good afternoon. So In a pinch, when things really get complicated, I need a translator or I need some who can speak some good ole fashioned 'Merican. I can even do alright with some Spanish, French, or German! Somethin'. But not Japanese. Today I got lucky. I ran into an Aussie. He looked about as excited as I was to find someone to chat with. We hammed it up a bit and then went our respective ways. I felt better for having succeeded in the communication game. But things really are quite different here. 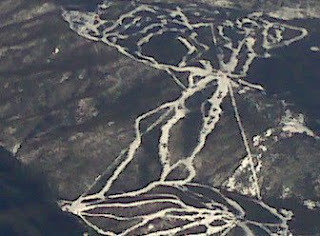 It looks different from the air! Even the Golf Courses look different! A bunch of brown spots for fairways. Not what I'm used to. And It looks different on the ground! I can't read any of those street signs. The magazines even look different! And they open from left to right! And the Limo driver sits on the wrong side of the car! Surely the sports must be the same- right? But no, the Sports look a little bit different too! I'm guessing the goals and objectives must be the same. Two really big guys. They must be going after a ball right? I'm kind of curious -why they are wearing diapers though. Let's see... Slap your stomach - Throw Water - and Try to intimidate the other player! Sound familiar? - Yep! Sounds like most of the sports I'm familiar with! Oh, now I get it.... The goal is to go after the other guy's balls! Give the other guy a "wedgie" or something! And Your testicles are So Smashed! Ouch! You'll be singing soprano for a while! I think I understand Japanese! See - I told you I was smart! Purple Gate/Purple Tickets - Do you ever get lost? If you know anyone who attended the recent Presidential Inauguration, you may know someone who was stuck in the line at the infamous "Purple Gate." I've listened to several reports from people who were in the purple gate line. Many, including a very dear friend, circumnavigated the blockage and were able to get in to view the inaugural speech. Interesting compilation. Isn't YouTube great? There were several comments on this YouTube post, I'm highlighting a few to give you a sense of how some people felt. Count yourself at least a little lucky that you weren't stuck in the tunnel for 4 hours. We flew all the way out from California with purple tickets from Nancy Pelosi. We eventually made it in after they opened a gate sporadically while the crowd was surging. Only minutes before the actual swearing in.At the end of the day, while the ceremony was disappointing for a lot of people, it's still nice to know Obama is Pres. So having read these comments and watched the video, I dug a little deeper. In my digging, I came up with the name - Patricia Jones Blessman, PhD. The name -Patricia Jones Blessman- is burning up the blog waves today. It appears that she will receive a refund of $10,000 for a contribution. Regardless of your political perspective, I imagine you all have an opinion on the idea of paying for something and then not getting what you were promised. Or making some sort of sacrifice with the expectation of receiving something in return and never getting it. Well, I learned today that Patricia Jones Blessman was a purple ticket holder who gave $10,000 to the Presidential Inaugural Committee (PIC). According the the Washington Post online, Blessman followed the refund protocol outlined by American Express and has received a refund pending review. Blessman complains that she was not able to see Barack Obama sworn in as the 44th president of the United States, a privilege for which she had paid big bucks. She wants her cash back! I must admit, I was a bit bored today and needed some entertainment. This qualified - I got an education on prostitution, law, and volunteering. Thanks go to Zenobia Grey, Apple Leena, Ferris Bueller, Aaron Goldfarb and Evan Rogers for adding some creative comments for my enjoyment. I gotta know - In her mind, was PJB making a contribution to a candidate she supported or was she merely buying a ticket to the Inauguration? Michael Palledorous - Courageous or Dumb? Does the name Michael Palledorous mean anything to you? What about Wendy Peffercorn? How about the name "Squints" - Ring a bell? After exclaiming "I can't take this no more" Squints took matters into his own hands. "Michael Squints Palledorous walked a little taller that day and we had to tip our hats to him. He was lucky she hadn't beat the crap out of him. We wouldn't have blamed her. What he did was sneaky, rotten, and low and cool. Not another one among us would have ever in a million years even for a million dollars have the guts to put the moves on the lifeguard. He did. He had kissed a woman. And he had kissed her long and good. We got banned from the pool forever that day. But every time we walked by after that, the lifeguard looked down from her tower, right over at Squints, and smiled." I don't know about you but from where I sit, Michael Squints Palledorous is an absolute hero! Music Monday! My Rifle Pony and Me! After my last post you may have guessed something like this was coming! It's Music Monday and I'm in that kind of mood. And a movie I've seen and enjoyed many times! The film was shot at Old Tucson Studios, just outside Tucson, Arizona and is generally regarded as one of Hawks' best pictures. The film received favorable reviews, and was financially successful, earning over 5.5 million. 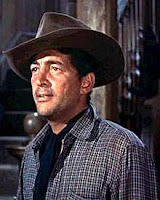 The film stars, John Wayne, Dean Martin, Ricky Nelson and Walter Brennan. The musical score was composed by Dimitri Tiomkin. His score contains the haunting tune "El Degüello," which is played several times to build tension. A character (Colorado, played by Nelson) identifies the tune as "The Cutthroat Song". He relates the song's historical playing on the orders of Antonio López de Santa Anna to the Texans holed up in the Alamo to signify that no quarter would be given. The tune was used in the following year, over the opening credits of Wayne's film, The Alamo. Capitalizing off of the appearances of Martin, and a teen idol Nelson, Hawks included three songs in the soundtrack. Before the big showdown, in the jail house, Martin sings "My Rifle, My Pony, and Me" (which contained new lyrics to a Tiomkin tune that appeared in Red River) accompanied by Nelson, after which Nelson sings a brief version of "Get Along Home, Cindy," accompanied by Martin and Brennan. Over the closing credits, Martin, backed by the Nelson Riddle Orchestra, sings a specially composed song, "Rio Bravo." 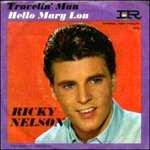 Nelson later paid homage to both the film and his character, Colorado, by including the song "Restless Kid" on his 1959 LP, Ricky Sings Again. I'm displaying the lyrics in case you want to sing a long! Sunday Morning - A Rocky Mountain Low! I grew up reading the Washington Post newspaper. As a kid, there was a brief period of time when I would read the Post and the Washington Star. In addition to working full time, my Dad had taken a part time job working for the Star and would get the Sunday Star paper for free. One of my favorite things to do as a kid was to hang out with my Dad on Sunday mornings and read the papers. We'd take turns reading the sports pages and the comics. I'm not so sure I was really into the paper so much, I just enjoyed spending the time hanging out with my father. I wasn't really interested in the news per se, it was pretty boring and depressing for a young kid, but I was always eager to get my hands on the TV guide. Remember those things? As a kid, I had my priorities. And I had to get my television line-up for the week dialed in and Sunday morning was the time to do that. I'd scope out the programming for the week and determine if I had to adjust anything in my active social schedule to accommodate the showings. These were the days before TIVO and VCR's. My Dad and I would usually fight over the Washington Post sections. I think it was a game we silently played with each other, one of us finally yielding to the other's demands. Even when the Star came out with a "Mini Page" section just for kids, I'd always want the Post instead. There was just something about it... Clearly, I cherish those memories from that time in my life and over the years, the Washington Post has held a special place in my heart. I've retained a certain loyalty to their brand and I still try to keep up with it online. When I'm in the District, I always grab a copy of the paper. It's nostalgic for me to read it these days and reflect on how it's changed over the years. I also enjoy the update on the city and the growing trends. On August 7, 1981, after 130 years, the Washington Star ceased publication. In the bankruptcy sale to follow, the Washington Post purchased the land and buildings owned by the Star, including its printing presses. I didn't miss a beat as a result of this story. I remember hearing and reading the stories but I don't remember any emotion attached to learning of this event. By then, I had moved on to a new love affair. Yes, I had picked a new dream girl and her name was "The Rocky Mountain News." 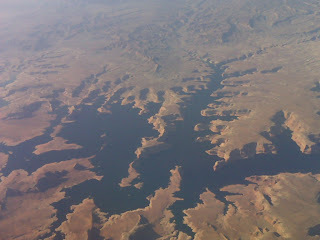 After leaving the Washington D.C. area, I grew to like (not love) another - The Rocky Mountain News! It wasn't the Post, but I made the best of it considering this pre-dated online versions of other papers. Yep, I missed it by about a week. Needless to say, it was a long lonely flight home....... I was looking forward to browsing the RMN on my flight back to Los Angeles and catching up with the happenings in the Denver area. As you could guess, I was a bit disappointed. So in an effort to pass the time, I pulled out my Blackberry and composed a few emails. I wrote a few notes to myself and then read the USA Today cover-to-cover. I was Unfulfilled! 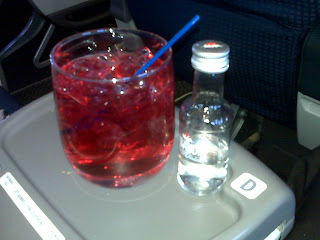 So I comforted myself with a Vodka/Cranberry Juice. I was lucky enough to have an empty seat beside me. The gentleman in 2C opted to move into an empty seat behind us next to his colleague. 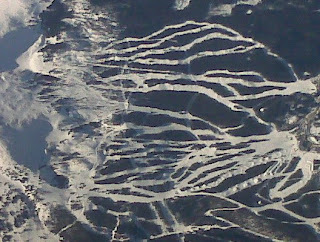 That left me alone to drown my sorrow and snap photos out the window without appearing like a juvenile traveler in a cabin full of business men and women. What wonderful memories I have from Colorado. 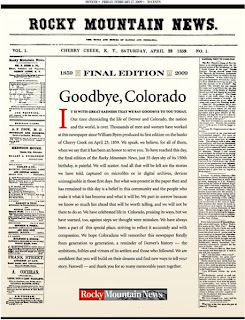 And today, that's all that the Rocky Mountain News is to me - A memory! Perhaps it's inevitable. "Newspaper home delivery may become a thing of the past." Will it join the likes of 8 - track players, cassette tapes, LP's, Drive-In-movies, and dial telephones? 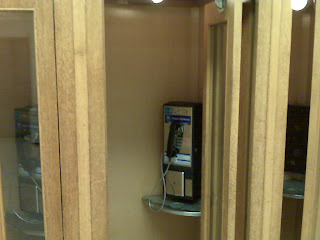 Speaking of telephones, are pay phones on the way out too? 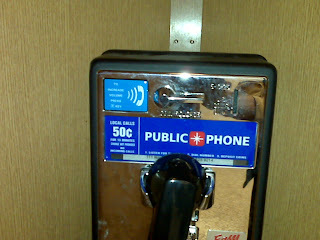 When was the last time you used one? When was the last time you saw someone else use one? 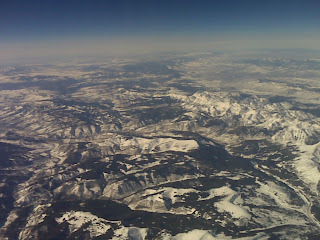 Those were a few of the things I pondered on my two hour flight home from Denver. 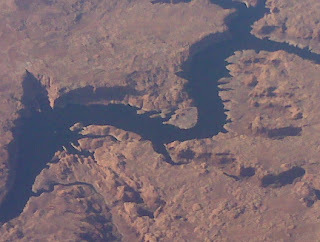 I drifted a bit, napped for a few minutes, and looked down on the Colorado River, Lake Powell, and parts of the Grand Canyon. 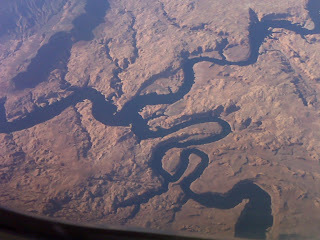 Some day I would like to just float along the River with my camera in hand, a cold beverage, ....... And think some more! Not Going Green Today? Courageous Or Dumb? Environmentalism-or going green- is a broad philosophy and social movement centered on a concern for the conservation and improvement of the environment. Environmentalism is associated with the color green. Did you know that a leech has 32 brains? I didn't until I started this post. But what do leeches have to do with going green? I wasn't sure about that connection either until one day I heard a "non-green" person referred to as a leech. The implication to me was clear and obvious. "Leeches" or "non-green" people go through life sucking, consuming, and parasitically living off of the work and efforts of others. Well, that kind of sounds like me a little bit... (laugh). All joking aside, when I look at my personal environmental footprint, I recognize that it is quite large and can be reduced. In the past few years, I've made a conscious effort to cut back on my level of consumption relative to our limited resources. I'll admit that some of the motivation has been driven by the economics of it all. Remember when gasoline prices were well over four dollars a gallon? I was happy to park my gas guzzling SUV for a little while in favor of the environmentally friendlier and more economical hybrid vehicle. I noticed the savings immediately. And compact fluorescent light bulbs make a lot of sense to me as well. Being the chief bulb changer around here I've noticed that the frequency of that activity has been slightly reduced. I've become better at recycling and have changed my philosophy on several issues. Call me a tree-hugger if you like ...... Well, I'm not that extreme yet but I'm certainly moving in that direction. I look around my home at the level of paper products. Wow! There's so much! I can hardly keep up with it all. Anything from newspapers to receipts, to junk mail, and packaging products. All of that stuff goes in the recycle bin for starters. I even shred my financial statements and recycle them with the hope that they'll come back to me as toilet paper one day. Then they'll be worth something... ha, ha. Los Angeles has joined many other cities and developed a great rubbish/recycling program. They give you three different containers. One is a big blue container for paper, glass, plastic, and other recyclables. A green container is supplied for compost items like food, flower and plant trimmings etc., and finally there's a black container for the rest of the trash which ultimately ends up in a landfill. Some cities, like San Francisco, have proposed fines for unsorted or improperly sorted garbage. Perhaps a bit excessive and extreme but I suppose that's where we're headed. Los Angeles is proposing a system that charges you extra for using one use bags at the grocery store. I don't know where that proposal currently stands but I do notice that many people are now sporting reusable canvas bags at the local supermarket. I guess in the years to follow the question at the check out line will be "reusable bag - or paper, plastic and 25 cents per bag?" This environmentalism stuff isn't new either. The beginnings of an environmental movement in the United States can be traced as far back as 1739, when Benjamin Franklin and other Philadelphia residents, citing "public rights," petitioned the Pennsylvania Assembly to stop waste dumping and remove tanneries from Philadelphia's commercial district. In the 1800s, John Muir and Henry David Thoreau made their key philosophical contributions. Thoreau was interested in peoples' relationship with nature and studied this by living close to nature in a simple life. He published his experiences in the book Walden, which argues that people should become intimately close with nature. Muir spent quite a bit of time hiking in Yosemite Valley and studying both the ecology and geology. He successfully lobbied congress to form Yosemite National Park and went on to set up the Sierra Club. Anyway, you get my point I'm sure. 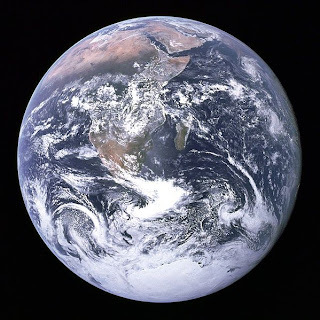 While we have many problems around the globe today, we've only got one "Blue Marble" to live on. And while I'm somewhat confident that there will be enough resources for me during my lifetime, I'm hoping to do a little bit to ensure that there are a few more resources left for our great-great- grand kids and beyond. So while people across the United States are putting on their green hats, ties, shirts, blouses, pants, and undies to celebrate St. Patty's Day ...... I'll be doing the same. But as I do, I'll be thinking about a different kind of "Green." Let's see instead of green beer this year I think I want a good Irish whiskey. 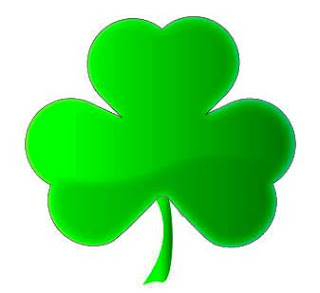 Do they make green Irish whiskey? Some People Want it All..... Music Monday! Well, It's Music Monday again - I've decided to do something a little bit differently. I've decided to give you something extra. Sound Good? I've decided to let Queen Latifah introduce my pick for this week. I'm sure many of you would agree that she very easily could hold a spot on my Music Monday schedule as a performer. So I'll give her adequate props! Here's a bit of information about the Queen! And all of this was done in less than 40 years. In two days, she'll be celebrating her 39 Th birthday - Happy Birthday QL! I think we should listen to Queen Latifah as she introduces my pick for Music Monday. No doubt - All of that beauty and talent is a dangerous combination. Alicia Keys, is an American R&B and soul singer-songwriter, pianist, cellist and actress. She was born in the Hell's Kitchen area of Manhattan in New York, and was raised by her mother. In 1985, she made a television appearance on The Cosby Show. She attended Professional Performing Arts School and graduated at 16. She later attended Columbia University before dropping out to pursue her music career. Keys released her debut album with J Records, having had previous record deals first with Columbia and then Arista Records. Alicia Keys' debut album Songs in A Minor, was a huge commercial success, selling over 11 million copies worldwide. The album earned Keys five Grammy Awards in 2002, including Best New Artist and Song of the Year for "Fallin". Her second studio album, The Diary of Alicia Keys, was released in 2003 and was also another success worldwide, selling eight million copies. Keys garnered an additional four Grammy Awards in 2005. Back to Queen Latifah.... 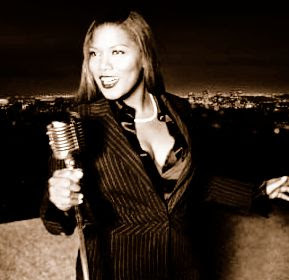 In 2007, Latifah released an album titled Trav'lin' Light. Jill Scott, Erykah Badu, Joe Sample, George Duke, Christian McBride, and Stevie Wonder made guest appearances. It was nominated for a Grammy in the "Best Traditional Pop Vocal Album" category. One of the songs, "Poetry Man" was a redone version of a song by the singer-songwriter Phoebe Snow. The song was written by Snow, produced by Dino Airali, and first appeared on her 1974 self-titled debut album. Released as a single in late 1974, "Poetry Man" became Snow's first charting hit, rising to # 5 on the Billboard Hot 100 chart in April 1975. Here's a chance to listen to it Queen Latifah singing Poetry Man. Thanks for stopping by. Taxing Chocolate! Courageous or Dumb? A Scottish physician has an extreme - perhaps revolutionary proposal for fighting obesity in the U.K.: A tax on chocolate! 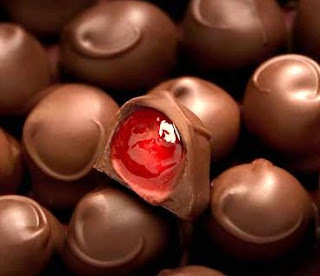 Hold onto your chocolate covered cherries! Dr. David Walker, a general practitioner from the town of Airdrie, said the candy has become a harmful addiction for too many of his countrymen and is contributing to rising levels of obesity and Type 2 diabetes. Subjecting chocolate to a "sin tax" -- as is done for alcohol and cigarettes -- would help return it to its rightful status as an occasional treat instead of a daily indulgence, he told BBC News. So guess what - They put his proposal up for debate this week in Glasgow, Scotland at a medical conference. How do you think it went? Fortunately, the proposal failed by two votes. Dr. Walker remarked: "I am disappointed that the motion was not supported by conference, however, I am pleased that it has stimulated debate on obesity and the worryingly high levels of diabetes in Scotland." I heard there was a band of housewives picketing the conference and threatening to turn the English Channel into a chocolate milkshake if this proposal passed. Their battle cry was "Remember the Boston Tea Party?" And there leader was someone named Jane. Wow! If they put a sin tax on chocolate, what's next? French Fries? Cookies? Ice Cream? Coffee? Seriously though, has a sin tax ever curbed the sin? How much of a premium would you have to charge on chocolate before people cut back on their consumption? Let's hope this is the end of this debate. It could get ugly. We've Got To Remember Some Things! 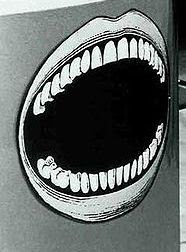 Morton Downey Jr.
Another Creative Idea! Well, maybe. Who could forget this face? 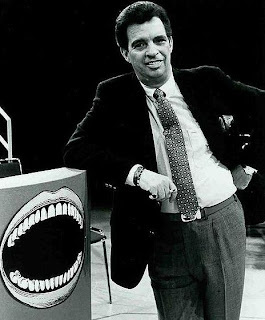 Morton Downey Jr. started as a talk show host at KFBK-AM in Sacramento, California. His abrasive and right wing style quickly made him popular in a somewhat local market. His nationwide fame, however, came when he left Sacramento for Secaucus, New Jersey where his highly controversial television program took off. The show was taped for two years before it was canceled for low ratings. During those two years the show enjoyed a brief bit of fame and fortune. The program featured screaming matches among Downey, his guests, and his audience members. Downey was known for using a large silver bowl for an ashtray, he would chain smoke during the show and blow smoke in his guests' faces. I watched a few of his shows in the 80's. I didn't agree with his politics or methodology, but I initially enjoyed the antics. Unfortunately for him, I, as well as many others, grew weary of his obnoxious and deriding behavior. 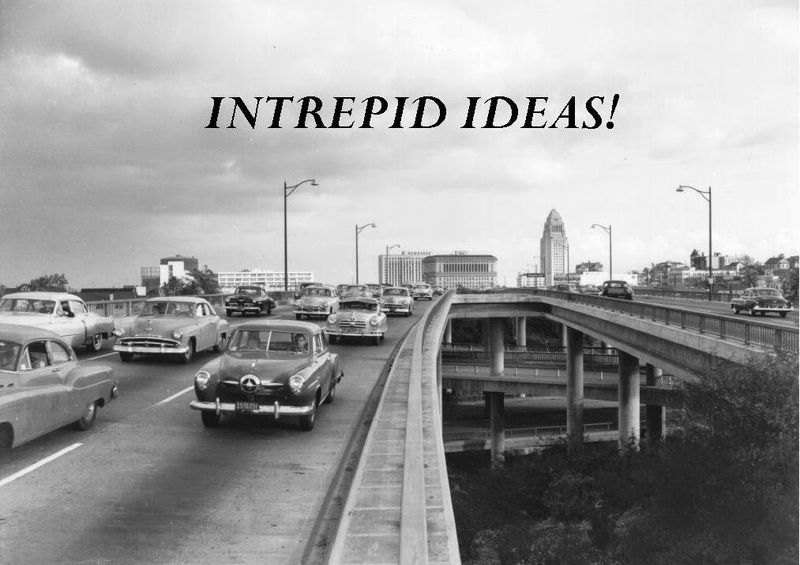 In my estimation, what started as a good plan ultimately backfired on Downey. His audience began to hate and despise him more than his guests. That proved to be a formula for failure because eventually, the viewers just stopped tuning in. I think the new-age Trash TV talk show hosts understand that they have to walk a very fine line. They want to be exciting and stimulating and engaging, but they know that anger and frustration should be focused on the guests and not them. They know that viewers will develop an appetite for the hapless and piteous people and tune in for the shock value alone. Most of them have learned to play "middle-man and mediator" quite well. Egging each side and the audience on without getting trapped in the middle. And it works. People will sit around the house all day and watch reruns of Jerry Springer and then call their friends to discuss the show. People will tune in to see virtually the same scenario with different faces and names attached. - For example, how many times have you seen the paternity suit/Who's your Daddy?/DNA testing format? I can't bear to suffer through it anymore. But occasionally, while I'm channel surfing I'll run across an episode where they are waiting for the lab results to determine paternity. Anyway, I congratulate the late Morton Downey Jr. for his uniqueness and creativity. His efforts and short-lived success combined with the repeal of the Fairness Doctrine, are generally cited as the catalysts for the more aggressive, opinion-based (My Way is Right, your way is wrong) talk radio and Trash TV that we enjoy today. The Fairness Doctrine was an attempt to ensure that all coverage of controversial issues by a broadcast station was balanced and fair. "The FCC took the view, in 1949, that station licensees were "public trustees," and as such had an obligation to afford reasonable opportunity for discussion of contrasting points of view on controversial issues of public importance. The Commission later held that stations were also obligated to actively seek out issues of importance to their community and air programming that addressed those issues." In other words, (my words) as a broadcasting company, you just couldn't go out and broadcast one side of an argument or issue. You had to show both sides of the issue and make an attempt to be fair. So here's some irony - During the recent Presidential election when I was glued to the television and held captive by the political pundits, I heard so many times from McCain/Palin supporters as well as McCain that they were not getting "Fair" coverage by the press. Additionally, they claimed that most, if not all, (Was FOX included?) the stations were broadcasting with bias in favor of Barack Obama. Click Here: Join other Americans who are tired of their promotion of Barack Obama and their attack on Sarah Palin. Take the pledge to not watch ABC, NBC or CBS until after the November elections! Apparently, nearly 128,000 people joined in. What if this was true? Let's assume CBS, NBC, and ABC were completely unfair to McCain/Palin. Who do you suppose we could thank for the repeal of the Fairness Doctrine which allowed this to happen? Let's start with Ronald Reagan. Are you surprised? Now we all know that Reagan was an American hero who played a huge part in tearing down the Berlin Wall; Some would argue - in much the same way that Al Gore built the Internet - But did you know that during the 80's and the era of deregulation, Reagan appointed Mark Fowler as the Chairman of the FCC. Fowler avowed to kill the fairness doctrine asserting that the doctrine was no longer having its intended effect and might be in violation of the First Amendment. In a 1987 case, Meredith Corp. v. FCC, the courts declared that the doctrine was not mandated by Congress and the FCC did not have to continue to enforce it. The FCC dissolved the doctrine in August of that year. But wait a second, there's more... In the spring of 1987, both houses of Congress voted to put the fairness doctrine into law--a statutory fairness doctrine which the FCC would have to enforce. But President Reagan, in keeping with his deregulation ideas and his long-standing goal of keeping government out of the affairs of business, vetoed the legislation. There were insufficient votes to override the veto. Congress once again tried to make the doctrine into law again during the Daddy Bush administration. As before, the legislation was vetoed, this time by Bush. “Since President Reagan’s repeal of the ‘Fairness Doctrine,’ the number of talk radio shows nationwide has grown from fewer than 100 to over 1,000 today. In addition to talk radio, Americans are able to find opposing viewpoints in more places than ever before, including the Internet,” Senator McCain said. “With the great number of media sources available today, divergent viewpoints do not have to be offered on the same radio or television show, but can be found simply by channel surfing, reading a newspaper or browsing an Internet blog . "Three salutes to Mike Pence from Indiana. He basically proposed an amendment to disallow federal funds to be used to reinstate the Fairness Doctrine, and it won big, 319 to 100-something. When the rubber met the road, the Democrats did not have the guts to vote for this. It wasn't even close." I'm not claiming that these are ringing endorsements for the repeal of the Fairness Doctrine and the Broadcaster Freedom Act, but I tend to lean in favor of the repeal of the doctrine. I think there are enough stations and sources out there to adequately reflect most, if not all, sides of important issues. I do find it a tad bit ironic in my mind though that McCain would whine about a system that he helped create, continues to support, and sponsors legislation to ensure it's succession. You can't have it both ways. If you want every station to be "FAIR" then support legislation to that end. And How does Barack Obama feel about the Fairness Doctrine? Obama Does not support the return of Fairness Doctrine! Obama does not support reimposing the Fairness Doctrine on broadcasters," press secretary Michael Ortiz said in an e-mail to B&C late Wednesday. "He considers this debate to be a distraction from the conversation we should be having about opening up the airwaves and modern communications to as many diverse viewpoints as possible," Ortiz added. "That is why (then) Sen. Obama supports media-ownership caps, network neutrality, public broadcasting, as well as increasing minority ownership of broadcasting and print outlets." After the Fairness Doctrine: Controversial Broadcast Programming and the Public Interest - by Patricia Aufderheide. If you want to study up more on Morton Downey Jr., do some research on his fight with fellow radio talk show host Wally George (each charging that the other was not conservative). This fight led to police tackling Downey to the ground. I couldn't find any vintage footage of this but I'm sure it's out there somewhere. For sure, Downey has left his mark on Trash TV. I'm sure he's laughing at us all! I've posted a few YouTube videos for the memories. Ketchup - Catsup - Catch UP! You ever see someone shaking a bottle of Ketchup vigorously trying to get the red stuff out? They shake, shake, and slam the heel of their hand against the bottom of the bottle and then finally, everything comes flowing out - sometimes all over the place. Then they pass the bottle to the next person who easily pours the ketchup for their own use. The bottle is then placed on the table where it sits and stiffens until the next unsuspecting person goes through the same drill. Over the years, Heinz addressed this property and even ran a series of ads using the song Anticipation, by Carly Simon to mitigate the perceived aggravation of it all before finally coming up with the stand up flip top bottles with the open end on the bottom. 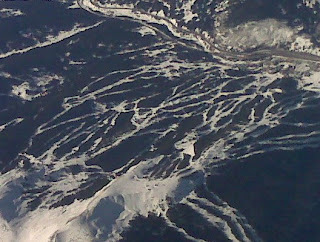 Smart people (hydrodynamic engineers) call this property "Pseudo plasticity." One whose apparent viscosity or consistency decreases instantaneously with an increase in rate of shear; i.e., an initial relatively high resistance to stirring decreases abruptly as the rate of stirring is increased. That's kind of how I feel in a literal sort of way. I was stuck in trial - It's finally over, You can call me Mr. Foreman! - for about 7 weeks. Meanwhile, all of my other responsibilities continued. I struggled to keep up with Blogging, coaching basketball, eating, drinking, socializing, etc., during this process with about 8 hours out of each day snapped up by my civic responsibility. Well, I'm happy to announce that I enjoyed my refresher course in the execution of civil law and I'll be taking this knowledge along with my $427.00 (for jury service) and playing Catch - UP for the next few weeks. It's been difficult getting the fluid moving and finding my grove but I think I'm starting to reach my stride again. I have a new appreciation for the word sluggish, but I feel like the ketchup is slowing sliding off of the glass and ready to drip down all over my juicy burger. I'm getting my creative brainwaves in motion. It's time to travel again and explore some great new ideas! In the next two months or so I'll be heading to Japan, (Go Figure) Miami, Puerto Rico, and other parts of the Caribbean. I may even be appearing in an episode of CSI. So be on the lookout! When you hear the phrase "Some Like It Hot" who or what do you think of? Or Do you think of the song - " Some like it Hot" recorded by Power Station. Power Station was a 1980's group which featured singer Robert Palmer, bassist John Taylor and guitarist Andy Taylor of Duran Duran; and former Chic drummer Tony Thompson. Bernard Edwards, also of Chic, was involved on the studio side as recording producer. Interestingly, the band was formed in 1984 during a break in Duran Duran's schedule (Catch that Jane?). Further, Power Station was named after The Power Station recording studio where their album was recorded. I learned during this post that Robert Palmer is no longer with us - Palmer, who made his home in Lugano, Switzerland for his last 15 years, died in Paris, France in 2003 of a sudden heart attack at the age of 54. Way too young! He is interred at the cemetery in Lugano. Yeah, you got it! 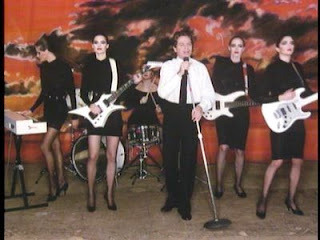 The Addicted to Love video of the 80's. Was that hot or what? Sappy I know - but catchy. Especially the part about turning up the heat 'til we fry! Here's my choice for Music Monday! Music Monday - In Your Eyes! The list of things I learn on Music Mondays never ends. 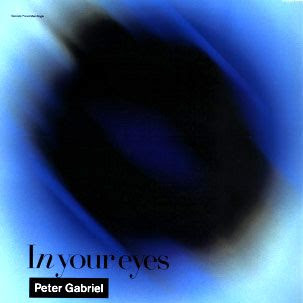 I've always liked the song "In Your Eyes" by Peter Gabriel. In fact, I've grown to appreciate it more in my later years. It's not a song I enjoy dancing to or grooving to. It's merely a song I enjoy listening and reflecting to. I learned today that "In Your Eyes" was written about Gabriel's one-time girlfriend, actress Rosanna Arquette, after an attempted reconciliation ended in failure. I'm posting two videos, the shorter one and the longer live version. You can definitely see and hear the African influence in the second video. Take your pick or listen to them both.